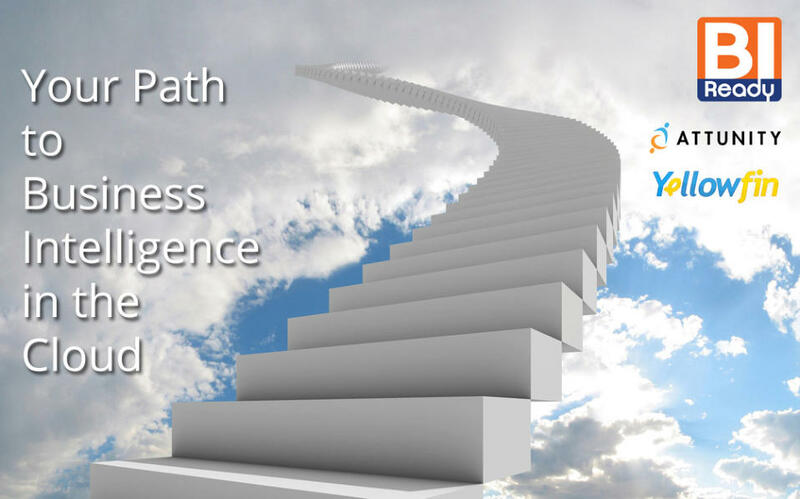 Cloud-Based Business Intelligence. CloudStart from BIReady. BIReady CloudStart - A Complete Cloud-Based Business Intelligence Suite That Is More Secure and Cost-Effective Than Any In-House Solution. Here’s why. The success and reputation of the Cloud will live or die by its security, ease-of-use and cost-effectiveness. We are glad to say that Business Intelligence in the Cloud is alive and well - and thriving. At BIReady Australia, we have put together a suite of software products and services to make BI in the Cloud a no-brainer. Using our solutions, delivering a fully-functional BI solution for your business has never been easier, faster or attainable at such low cost. Smaller companies that have lighter BI requirements find they can have a pay-as-you-go dashboard and reporting solution that doesn’t cost the earth. That’s why CloudStart from BIReady Australia makes so much sense. But there’s more:- Fast Using our CloudStart service in the Amazon Web Services (AWS) Cloud, you can have your own server instance set up and running in less than one hour. Just think - in a few hours from now, you could be loading up data and delivering it to your business users as reports and dashboards on any device. Complete We have everything covered. CloudStart comprises of several components that handle specific tasks:- Amazon Web Services - Fast and easy to setup your preferred database technology. Your fully-loaded server can be up, running and ready to go in minutes. • Attunity CloudBeam gets your data from wherever it may currently reside to your AWS database. Supports Amazon Redshift, EC2 and RDS. • BIReady Data Warehouse Automation builds your data into a fully-fledged Enterprise Data Warehouse (in Third Normal Form or Data Vault) and built into star-schemas for reporting. BIReady does all this for you in hours or days, instead of the usual weeks or months. • Yellowfin BI, Beautiful, Balanced and Brilliant BI your users will love. You can deliver pixel-perfect reports and dashboards to any device, anywhere, anytime. Uses your Redshift, EC2 or RDS databases (SQL Server, Oracle, etc) as the source. Depending on your project, you may not need all the components, maybe just one or two. Cost-Effective Using AWS for your Business Intelligence in the Cloud makes enormous sense. No more outright purchasing of expensive hardware or software. Pay for what you need as you go. Adding - or removing - user licenses means your solution can flex with the needs of your business. Secure If your data currently resides on your own premises, ask yourself this very simple question - “If someone REALLY wanted to get my data, could they?”. Amazon Web Services is now based here in Australia, with a Sydney-based data centre. We’re betting your data is more secure with Amazon than it is on your own premises. Supported Through our SQL Services support network we have the people and resources to help you get up and running real fast, and stay running. The quickest way to get up and running is to call us. Whether you would like to get up and running quickly with a trial service, or talk to one of our consultants about a project you have in mind, call us today. Cloud-based Business Intelligence from BIReady. CloudStart. Your Stairway to Cloud BI Heaven. Why Put Your BI in the Cloud? • Cloud-based BI makes sense for many purposes, but especially these: • Customer Facing Analytics - As a first step, you could offer BI in the Cloud to your customers. By giving your customers information about how thery deal with you is a great way to make your services ‘sticky’ and help you retain your best customers. • Mobile Sales Force - Your sales team can be more effective when the right information is made available to them. For your salesmen to be able to access critical information about your customers while on the road or in meetings with them is a powerful sales tool. It helps your sales team make better-informed decisions on the spot, leading to shorter sales cycles and more sales. Who Needs Cloud BI Services? • Companies that need something TODAY - Urgent supply on demand. CloudStart is so flexible and affordable - you can have what you need get done whenever you are ready. No need to wait another minute. • Companies wanting to save money - Outsource your BI server platforms to save on administration, maintenance, support and daily management costs. • Companies with a wide geographical spread - If you have offices all over the country (or world) then you already have security and firewall issues. Solve them and save immediately by letting AWS manage all that for you. • Companies seeing peace-of-mind - In the AWS cloud, your BI solution is fully updated, backed-up and monitored to ensure it is performing as well as it can be. Amazon Web Services has become the most trusted Cloud-based solutions provider on Earth. Their new Sydney-based data centre means your data is closer to home. Let’s Talk! Now you know more about CloudStart, call us on 02 8880 5111 for a friendly chat about our special offer - Take our 30-day free trial and get your first three users annual subscription on Yellowfin for free. BIReady CloudStart - A Complete Cloud-Based Business Intelligence Suite That Is More Secure and Cost- Effective Than Any In-House Solution. Here’s why. The success and reputation of the Cloud will live or die by its security, ease-of-use and cost-effectiveness. We are glad to say that Business Intelligence in the Cloud is alive and well - and thriving. At BIReady Australia, we have put together a suite of software products and services to make BI in the Cloud a no- brainer. Using our solutions, delivering a fully-functional BI solution for your business has never been easier, faster or attainable at such low cost. Smaller companies that have lighter BI requirements find they can have a pay-as-you-go dashboard and reporting solution that doesn’t cost the earth. That’s why CloudStart from BIReady Australia makes so much sense. But there’s more:- Fast Using our CloudStart service in the Amazon Web Services (AWS) Cloud, you can have your own server instance set up and running in less than one hour. Just think - in a few hours from now, you could be loading up data and delivering it to your business users as reports and dashboards on any device. Complete We have everything covered. CloudStart comprises of several components that handle specific tasks:- Amazon Web Services - Fast and easy to setup your preferred database technology. Your fully-loaded server can be up, running and ready to go in minutes. • Attunity CloudBeam gets your data from wherever it may currently reside to your AWS database. Supports Amazon Redshift, EC2 and RDS. • BIReady Data Warehouse Automation builds your data into a fully-fledged Enterprise Data Warehouse (in Third Normal Form or Data Vault) and built into star- schemas for reporting. BIReady does all this for you in hours or days, instead of the usual weeks or months. • Yellowfin BI, Beautiful, Balanced and Brilliant BI your users will love. You can deliver pixel-perfect reports and dashboards to any device, anywhere, anytime. Uses your Redshift, EC2 or RDS databases (SQL Server, Oracle, etc) as the source. Depending on your project, you may not need all the components, maybe just one or two. Cost-Effective Using AWS for your Business Intelligence in the Cloud makes enormous sense. No more outright purchasing of expensive hardware or software. Pay for what you need as you go. Adding - or removing - user licenses means your solution can flex with the needs of your business. Secure If your data currently resides on your own premises, ask yourself this very simple question - “If someone REALLY wanted to get my data, could they?”. Amazon Web Services is now based here in Australia, with a Sydney-based data centre. We’re betting your data is more secure with Amazon than it is on your own premises. Supported Through our SQL Services support network we have the people and resources to help you get up and running real fast, and stay running. The quickest way to get up and running is to call us. Whether you would like to get up and running quickly with a trial service, or talk to one of our consultants about a project you have in mind, call us today. Go on, Press Here Now!